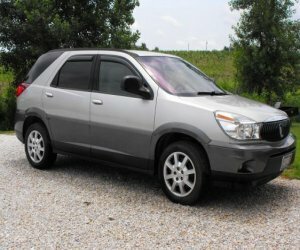 * Driver Air Bag * Anti-Lock Brakes * Air Conditioning * Cruise Control * CD Player * Passenger Air Bag * Rear Window Defroster * Power Door Locks * Power Mirrors * Power Windows * Power Steering * Tinted Glass * Tilt/Telescope Steering Wheel Cloth Seats Silver/Gray two tone color. All scheduled maintenance, Looks & runs great, No accidents, Very clean interior, Well maintained,universal garage remote, power door locks, child safety lock, Auxiliary Power Outlet, Window Deflectors, Cloth Seats, Rear Defroster, Automatic Headlights, Fog Lights, lots of storage areas, 17 inch tires, Lumbar Seats (driver & passenger), Must see! Email me for additional Pictures. Priced well below Kellys Blue Book value. Runs & drives great! Driven approximately 4 miles a day to and from work.